Frontier Airlines will launch new service between Miami and Havana starting Dec. 1 with one-stop connections from both Denver and Las Vegas. 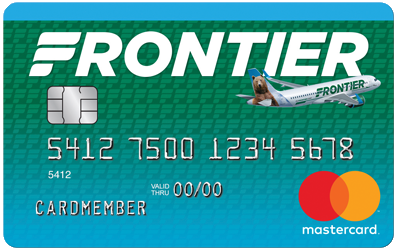 Frontier is offering special introductory fares as low as $189* round-trip at Flyfrontier.com. Additionally, customers have the choice of adding the WORKS℠ bundle to these special sale fares. Customers can take advantage of Frontier’s bundled choice, the WORKS℠**, containing Frontier’s most popular options for one low price. The WORKS℠ is available at FlyFrontier.com at time of initial booking and includes one carry-on bag, one checked bag, best available seat including Stretch and Exit Row options, full refundability when canceled at least 24 hours prior to scheduled departure, no change fees and priority boarding. “We’re excited to begin our first ever service to Cuba” said Daniel Shurz, senior vice president – commercial. “Our Low Fares Done Right business model will give people the best option in affordable air travel to this fascinating new destination. Miami, FL to Havana CU: Tickets must be purchased by 11:59 pm Eastern time on Sep. 14, 2016 for nonstop travel, Dec. 1 through Mar. 1, 2017. The following blackout dates apply: Dec. 16, 2016 – Jan. 8, 2017, Feb. 18, 2017 and Feb. 20-21 2017. Las Vegas, NV to Havana, CU and Denver, CO to Havana, CU: Tickets must be purchased by 11:59 pm Eastern time on Sep. 14, 2016 for connecting travel, Jan. 9 through Mar. 1, 2017. The following blackout dates apply: Feb. 18, 2017 and Feb. 20-21 2017. General:Fares shown are round trip and require round trip purchase. **(3) The WORKS℠ is available at FlyFrontier.com at time of initial booking; prices range from $59 to $86 each-way, based on round-trip purchase, and includes one carry-on bag, one checked bag, best available seat including Stretch and Exit Row options, full refundability when canceled at least 24 hours prior to scheduled departure, no change fees and priority boarding.